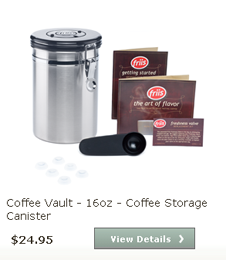 The Friis Coffee Vault Canister Keeps Your Coffee Fresh. Taste the difference in one week! 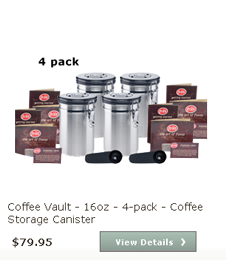 Since launching in 2008, the Coffee Vault has been sold to customers in every state and all over the world. 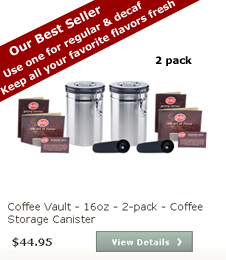 Here are the three most popular packages we ship each week. Click on the package to view details and learn more.